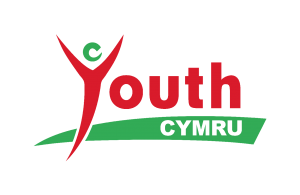 Youth Cymru will train 50 youth workers in Wales to train 40 young people each. This is a UK wide project funded by Microsoft with the aim of training 16,000 young people on how to code. There is also a UK wide competition for young people to come up with an App idea that will benefit their community. More information will follow soon – so watch this space, in the meantime………. Last chance to be trained and also get paid for it !!! Youth Cymru is working in partnership with Microsoft,The Tablet Academy and UK Youth to deliver Generation Code – a new programme that will equip youth workers with the relevant knowledge, resources and learning materials to teach young people basic coding. By bringing together the youth sector and the best computer science trainers, Generation Code will encourage young people to engage with computing, provide them with a real sense of achievement and inspire future career and education choices.You will be PAID to train your young people! Each Youth Worker who attends will be responsible for delivering the Generation Code programme to approx 40 young people in their own setting. You will also encourage and support the young people to enter The Generation Code Challenge, thinking about how they can use their new computer skills to benefit their community. You will be trained and supported by a Generation Code Master Tutor. You will be supplied with training materials, including a BBC Micro:bit and a Generation Code Training Pack. In this Training Pack, you will find all the information you need to deliver Generation Code to the young people you work with. It will guide you through what Generation Code is, why it is important and how it will work. You will find instructions for the different elements of Generation Code and resources to help you deliver. You will need to register the young people who take part in Generation Code within your group and be prepared to complete some simple monitoring and evaluation paperwork.